Botox is charged at R 65.00 per unit given. A touch up can be done at 2 weeks after the first injection. The additional units to treated areas are charged at R 45.00 per unit. The number of units required will be determined by the size of the area, the degree of clinical effect desired by the patient, previous Botox use and other individual variations. As a rough guide, I have indicated my most frequently used dosages below. There are, of course, other areas that may amenable to treatment. Brows Average = 20 – 24 units. Note: This is currently considered the only approved indication for Botox cosmetically. Although very frequently performed, all other areas are officially considered “off-label” use and require patient consent. 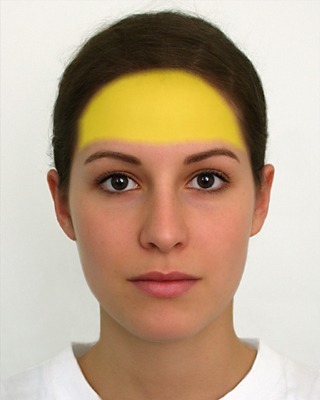 Forehead Average = 10 – 25 units. Note: A “complete” clinical response, where no movement of the frontalis muscle occurs, is associated with a lowered brow position and it is advisable to combine this with a complete brow paralysis (as above) to prevent heavy eyebrows. Crow’s Feet Average = 10 – 24 units. Note: This area of the lateral orbital wall responds particularly well to Botox, however, due to the high metabolic rate in this area, the response is the shortest-lived, with good clinical results last for approximately 2 months. Mentalis (Chin) Average = 4 – 10 units. Note: The curved crease under the lower lip (the mento-labial crease) may only be partially resolved with Botox,often filler is also required. The orange-peel like dimples of the chin are an excellent indication for treatment. Depressor Anguli Oris (DOA) lift Average = 6 – 10 units. The use of Botox to resolve hyperactivity of the DAO muscles is a very gratifying indication. Gentle elevation of the mouth corners is possible. Complete correction of the down turned corners often requires the addition of dermal filler. Check out the Botox FAQ as well.